I have never done any formal pair programming, but having been on both sides of team and solo programming I would take two developers on the same project vs. two developers on independent projects any day. I might even take a rubber ducky if I can't find a second dev to commit. Title: Loser pairs with the manager. 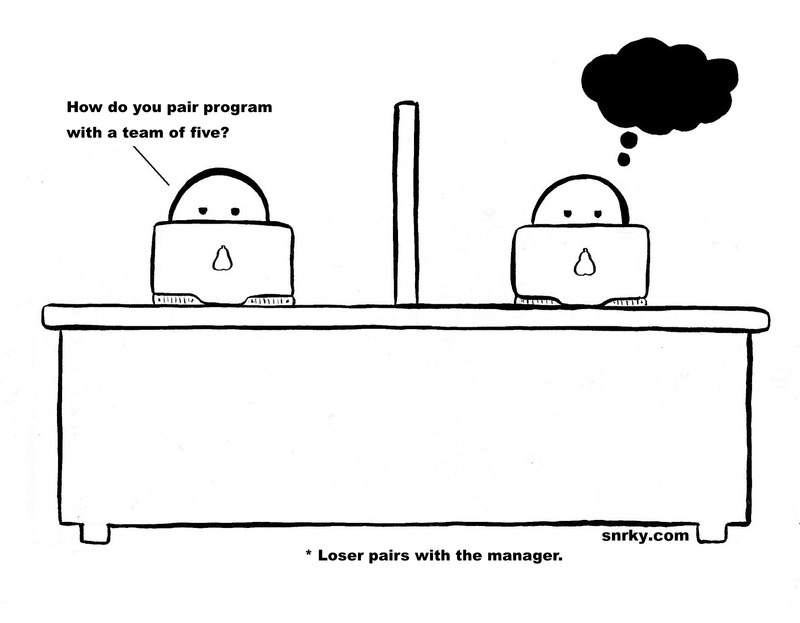 Snarky: How do you pair program with a team of five?